This next Friday night, 'The John Cugno Trio', [John 'Scooch' Cugno, Martin Salinas, and Bartlett On Bass] will play blues from 7pm to 10pm at 'Liquid Soul'. Bring the whole family, kids are always welcome at 'Liquid Soul' in McKenna. 'Liquid Soul' is located at 35025 90th South-that's at the McKenna 'Y' behind Baydos. Phone 360/400-soul. Barb and Martin roast all their own coffees at 'Liquid Soul'. They're organic, bird friendly, fair trade and Swiss Water Processed decaf. Sandwiches, salads, wraps, desserts and even more are all delicious. They have beer and wine too. 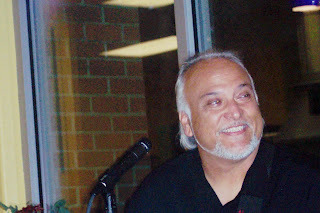 John 'Scooch' Cugno has 2 CDs available at http://www.cdbaby.com/ , 'Blue's Survivor' and 'Nothin's Easy'. Check him out at http://www.scooch.net/. See you there. 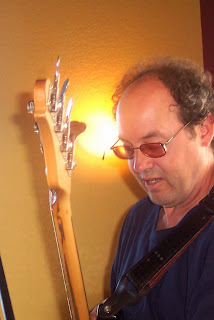 Saturday, August 25th, John 'Scooch' Cugno with Bartlett On Bass play at the 'Tides Tavern' in Gig Harbor, Washington. Address 2925 Harborview Dr., phone 253/656-3962. 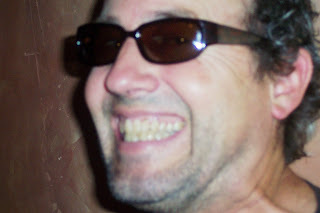 John 'Scooch' Cugno has 2 CDs available at www.cdbaby.com , one is 'Blue's Survivor' and the other 'Nothin's Easy'. Come out to hear great blues. Check out the 'Tides Tavern' at www.tidestavern.com/ . Music will be from 8pm to 10pm. I'll be there. Tonight, Friday August 24th from 7pm to 10pm, 'Eclipse' [Tod Lemkuhl, Michael Harrison, and Bartlett On Bass] plays great music at 'Liquid Soul' in McKenna. Great Fun, bring the kids, they're always welcome @ 'Liquid Soul'. For Fresh Roasted organic, fair trade, bird friendly coffees, come to 'Liquid Soul'. Owners, Barbara and Martin Salinas roast their own coffee at 'Liquid Soul'. It's excellent and of course always fresh. They offer fine sandwiches, wraps, salads, desserts, and more. Also, beer and wine. We always have a good time! Oh, their decaf coffee is processed without chemicals--the Swiss Water Method. 'Liquid Soul' is located a mile outside of Yelm. Address 35025 90th South, phone 360/400-soul. They're at the McKenna 'Y' behind Baydos. They're open seven days a week, so remember 'Liquid Soul' next time you're thirsty, hungry or want great music. Tonight, Friday Aug. 17th from 7pm to 10pm hear 'Eclipse' play @ 'Liquid Soul' in McKenna. Address 35025 90th South, phone 360/400-soul. That's at the McKenna 'Y' behind Baydos. Kids are welcome. 'Liquid Soul' roasts their own organic, fair trade, bird friendly excellent coffees. Their decaf is processed by the Swiss Water Method, using zero chemicals! Great sandwiches, salads, desserts, wraps and more are now served 7 days a week. They also have beer and wine. Lots of fun tonight with the band 'Eclipse' [Tod Lemkuhl, Michael Harrison, Bartlett On Bass]. Great music, fine vocals, and Bass Solos too. Come on down for a fun time. I'll be there. This Friday evening, Aug. 17th 7pm to 10pm 'Eclipse' [Tod Lemkuhl, Michael Harrison, and Bartlett On Bass] plays great music at 'Liquid Soul' in McKenna. Always a fun time. 'Liquid Soul', located at 35025 90th South, behind Baydos at the McKenna 'Y'. Phone 360/400-soul. Kids are always welcome at 'Liquid Soul'. 'Liquid Soul' features fresh roasted organic, fair trade, bird friendly delicious coffees. Decaf is done by the Swiss Water process. The sandwiches, wraps, salads, desserts etc. are fine. They have beer and wine too. Lots of fun. Tonight, Jam at Liquid Soul! 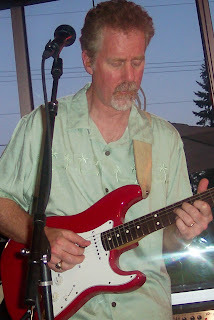 Tonight, Saturday Aug. 4th from 7pm to 10pm, enjoy jammin' with Martin Salinas at 'Liquid Soul' in McKenna! Lots of fun. 'Liquid Soul', located @ 35025 90th South, that's at the McKenna 'Y' behind Baydos. Phone 360/400-soul. Kids are always welcome at 'Liquid Soul', so, bring the whole family. Excellent fresh roasted, organic, fair trade, bird friendly coffees are always at 'Liquid Soul'. Martin and Barbara roast them on site, so you know it's always the best coffees served. Fine sandwiches, wraps, salads, desserts and more await you at 'Liquid Soul'. Beer and wine too! The great musicians from 'Eclipse' will be jamming tonight, as well as fantastic Steve Knopp and more. I'll be there too. Lets make it happen. Tonight, Again Great Live Music @ Liquid Soul! Tonight, Friday Aug 3rd, Great live music with 'Eclipse' @ 'Liquid Soul' in McKenna from 7pm to 10pm. Kids are welcome at 'Liquid Soul', so, come on down for a great time! 'Liquid Soul' is located behind Baydos at the McKenna 'Y', that's 35025 90th South, phone 360/400-soul. 'Liquid Soul' features fine organic, fair trade, bird friendly fresh roasted coffees. These fantastic coffees are roasted on site at 'Liquid Soul'. You know they're always fresh. The food is fine at 'Liquid Soul'. Great sandwiches, salads, wraps, desserts and more. They offer beer and wine too. Come on down and enjoy the music from 'Eclipse' [Tod Lemkuhl, Michael Harrison, Megan Harrison and of course, Bartlett On Bass]. Maybe ,Martin Salinas will be joining in on some tunes too! WOW! Don't miss it!